The plants in the Summer border are in full bloom now. Many of them are great for beneficial insects such as bees and hover flies. One of my favourites is Echinops ritro. This is a variety called ‘ Veitch’s Blue’. It’s cool silver in bud opening to the most intense blue. It’s dramatic and architectural but also undemanding and very easy to grow. Hardy perennial with branched erect stems, spiny leaves and round blue flower heads in late summer. Needs well drained soil preferably in full sun but tolerates some shade. 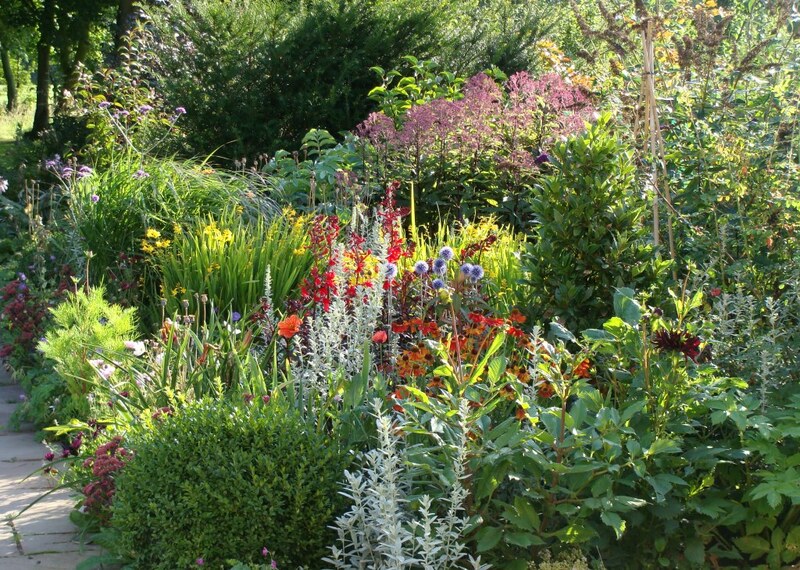 Suits informal gardens such as cottage gardens, gravel gardens and wildlife gardens. Can take three to five years to reach it’s ultimate height of approximately 1 metre x spread 50cm. Low maintenance but needs staking before the plants become too tall and flop over. Brilliant for wildlife.